In the Fourth Industrial Revolution, anything is possible because of 3D technology, Artificial Intelligence, Automation, Big Data, etc. With 3D technology alone, people could design, plan and produce products with precision. 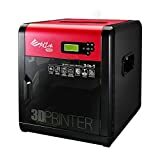 There is a 3D printer. 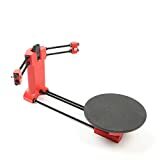 But, there is also a 3D scanner which people could use to scan any real items and produce digital 3D modules with could be used for different purposes such as editing, archiving or producing more items of the same modules. Thus, there are various benefits of 3D scanners including but not limited to what are mentioned. Here are the top ten 3D scanners that you could consider for your home, lab or company. Industrial Pack is an amazing 3D scanner. The package includes tripod and turntable. Because the module is an add-on, an automatic scan could be run with the item also matches with a full-automatic table. There are four scanning modes including handheld rapid scan, free scan, automatic scan, and handheld HD scan. The package comes with a three-dimension size as followed; 25” x 18” x 6”. It weighs 11 pounds. The product is the latest technology available. 3D scans of faces and lifelike scans could be delivered precisely with Bellus3D. 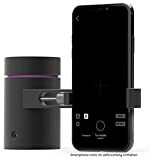 The camera has a USB accessory, and it requires a smartphone or tablet with android software. The version should be 7.0 and above. You could download the application from google play store, and that is all you need for a 3D scanner. Each scan could produce files including .jpg, .mtl and .obj. For tablets to be used with the machine, it is recommended that you use Samsung Galaxy Tab S3, Huawei MediaPad M5 or Huawei MediaPad M3. For smartphones, you may use Motorola Moto Z, Huawei Honor 8 and Samsung Galaxy S7, S7+, S8, and S8+. Each scan comes with high resolution. Occipital Wireless provides 3D scanning including mixed reality gaming and indoor mapping. By using the 3D scanner, you could create your 3D powered apps and games. It is recommended that you use the 3D scanner with devices such as 9.7” iPad Pro or iPad air 2. The product comes with Dark Grey color and aluminum finish. By just connecting to compatible tablets or mobile devices, new possibilities could be enabled. The product allows you to capture 3D scans of people or objects with full color. Occipital Wireless could capture all measurements in a room within seconds. Virtual elements could be locked precisely when you play mixed reality games so that you could feel the real world surrounding you. Although the product is designed for iPhone and iPad users, you could also use the product with devices such as Windows, Android, Linux, Mac and other platforms too. The 3D SCANNER – iOS Edition comes with a three-dimension size as followed; 13” x 11” x 3”. It weighs 1.71 pounds. HE3D scanner is part of the desktop 3D scanner. The product is not recommended to scan items with complex and irregular shapes but more an item of cylindrical shape. Everytime you scan, you should consider factors including light, environment and scanned objects. Thus, any items should be scanned in Constant Light Studio. Items to be scanned should meet the criteria as followed. The item is bigger than 5*5cm. The space volume should be smaller than 20.3cm*20.3cm. The object should weigh less than 3kgs. The object is still or opaque. The package includes an integrated motherboard, USB wire, C270 HD webcam, 42 stepper motor, laser, 12V 1.5A power supply 8mm Bobbin, self-tapping screw, etc. 3D Systems weighs 1.1 pounds. The 3D scan comes with black color. The 3D Systems Scanner is compatible with Window softwares. 3D Systems could scan objects such as human faces or other small items with precision. There is a Bluetooth that you could get 3D models in your computers. Eora 3D is a 3D model capture. The precision is up to sub-100 microns. The product could capture objects in 3D and export to files such as .STL, . OBJ, .PLY. There is a Bluetooth turntable of 360º models. Textures could also be captured for digital design. The product is compatible with IOS system, in particular, iPhone5 and above. The product comes with full assembly and is ready to use out of the box. Engineering, figurines and capture objects could be captured within seconds in a range of up to 1 meter. You could also view the 3D models with an application that you can download. The product could scan objects with high resolution. Eight million points per scan could be captured. Open Filament is a 3D scanner that is capable of employing the third party PLA filament and 1.75mm ABS. The calibration system is intuitive and new. The product uses detection software and designed knobs to guide you to the right direction. With aluminum print bed, it allows even distribution of heat; thus, chances of warpage could be decreased. Open Filament also complies with standards including performance within specified conditions, specific risks only, regulatory codes and other standards. The 3D scanning technology is dual-laser so that capture of objects has no distortion. It takes only five minutes for automatic imaging. Scans once done could be editable including scaling and re-positioning. The 3D scanner comes with black/red color. It weighs 60.4 pounds. The product comes with a 3-dimension size as followed; 27” x 23” x 21.8”. XYZPrinting has a fast speed for both processing and scanning ability. The product comes with Intel real sense module. The operating range is between 3.93 and 27.55 inches. The scanning distance in width is between 5.9 and 9.84 inches while the quality resolution is 640 x 480 at 30Fps. The product’s design is light and compact so that you could move it around easily. There is no complicated and large equipment necessary. The maximum scanning volume is 39.3 x 39.3 x 78.7 inches while the minimum scanning volume is 2 x 2 x 2 inches. Regarding scanning resolutions, it is between 1.0 and 2.5 mm. The 3D Face Camera Pro weighs 15.8 ounces. Matter is a 3D scanner that could delivers scalability and high availability so that you could get maximum price/performance as well as flexibility. The product is easy to install while the operation temperature could be between 15° – 32° C. Multiple formats including STL and point cloud could be saved so that you get superior compatibility. Matter weighs 6.7 pounds. The product is portable, compact and fully-assembled. Therefore, you could use the product out of the box. The product could scan solid items and create digital 3D models. The 3D scanner could produce 3D representations with high and intricate resolutions. The Wireless 3D Scanner comes with a three-dimension size as followed; 21” x 11.8” x 4.5”. Einscan comes with a scanning speed of eight seconds. The product could be run by auto-scan function or manual control. You could choose manual alignment for fixed scan. For an auto-scan, you could consider turnable mode. The single shot accuracy is below 0.1 mm while the minimum scan volume is 30mm x 30mm x 30mm. The maximum volume is 700 x 700 x 700 for a fixed scan while it is 200mm x 200mm x 200mm for an auto scan. The single shot size is 200mm x 150mm. The point distance is 0.17 – 0.2mm. 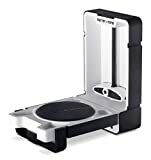 The package includes items such as one turntable, one scanner, one scanner stand, one scanner bracket, one calibration board holder, one power cord, one power adapter, one USB cable, one USB cable B, one quick guide. The package’s three-dimension size is as followed; 610 x 295 x 205mm. 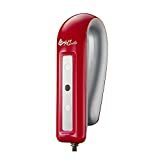 The Full Color Handheld 3D Scanner comes with a one-year warranty. A good 3D scanner comes with qualities as followed. It could scan items with precision. Additionally, the scanning and processing speed are so fast that it saves a lot of your time. Moreover, it could save into various file types. Furthermore, the product comes with the latest technology so that it is convenient and user-friendly. Plus, the product provides you maximum flexibility to scan any objects. Lastly, the product should come with warranty so that you could trust your decision to get the product. Although a good 3D scanner has these qualities, some good scanners also have its shortcomings. Those shortcomings include complexity when it comes to using because the more modern the technology is, the more users need to know and learn about the product. What’s more, some 3D scanners could only scan small items while they are compatible with limited choices of tablet or smartphone devices. Therefore, it is highly recommended that you need to read thoroughly or ask details about each particular type of 3D scanners. It is also important to consider what types of items you wish to scan. Are the items general or specific so that you could get the best of the 3D scanner that you choose. Please also keep in mind that lowest cost professional level 3D scanner will have more shortcomings than the rest. There are more to know about a high-quality 3D scanner. Please contact us shall you wish to know more about the product.